So after two months of putting the pieces together, it was time to start aggressively growing the business. With an office in Fort Bonafacio, two hard working employees, some amazing trainees and a clear plan of attack we set out to train and place as many analysts as possible. Based on the trainings we had done in May and June, the Intro to Analytics class was rock solid. We were attracting more and more candidates for the class, we had some clients offering us ad-hoc analytics work and we places three analysts with our first key business partner. SO how did we get there? When I talk to people about business strategy, the first thing I ask is what kind of data are they using? How are the accessing it and how do they refresh and measure it? You need to know the competition, you need to know the demographics of your clients and your market and you have to have customer insight data. Here is who we got it. Who trains people to be analysts? Not really anyone externally to their own company. 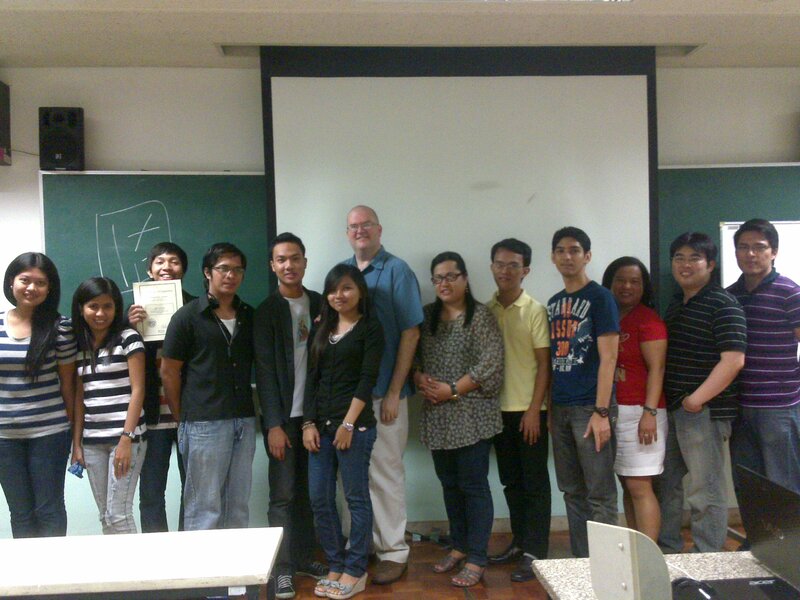 To date, I still believe we were the first analytics training program in Manila. So we were competing with other training programs and hiring processes. So we went to job fairs and we published online. We tracked recruiting expenses and determined ROI. A couple of our trainees did some in-depth competitor analysis to know who was hiring analysts, what their duties where and how much they were getting paid. We also got really good at understanding the best candidates for our program. IT and CompSci grads from the mid-tier college and universities. We started targeting them directly via LinkedIn and at job fairs. We put together a candidate database and started using Bullhorn’s free tool. And we gather a lot of client satisfaction data. We surveyed our trainees using Survey Monkey, we asked them to write LinkedIn testimonials and we set up a Facebook group to network. We asked our clients for feedback and posted highlights on the web site, the Facebook page and the LinkedIn. We were rocking and rolling! And than Mother Nature started being a problem. Posted on July 16, 2013 December 15, 2016 by DMAIPHPosted in Analytics in the Philippines, Analytics Training, General Analytics, My Analytics StoryTagged 13 Months in the Philippines, Analytics Training, BPO Elite, Business Intelligence, Dan Meyer, Demographic Profile, DMAIPH, LinkedIn, philippines analytics training, Wikipedia.